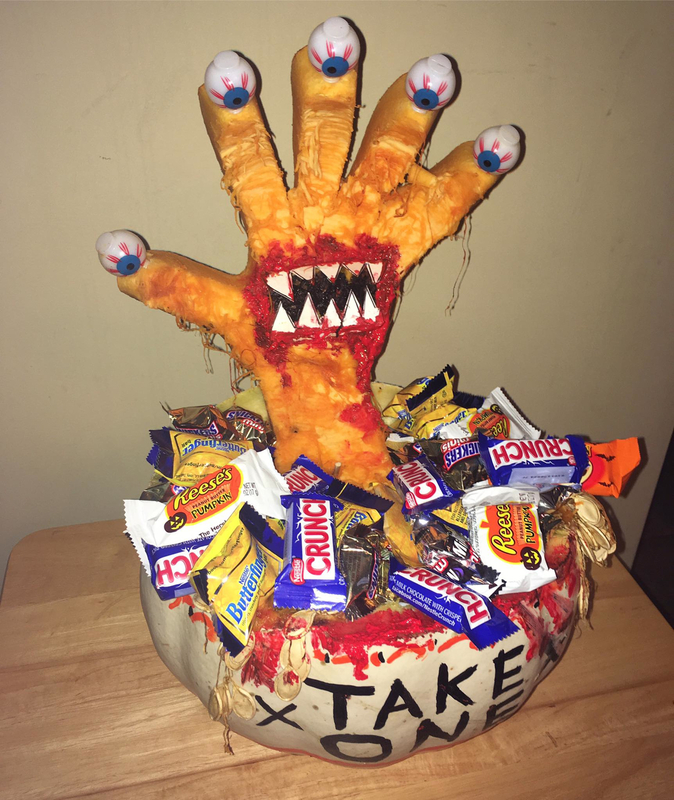 We've seen hundreds and hundreds of pumpkins carved to look like faces, but it's not every day that we see a pumpkin carved into a different part of human anatomy. 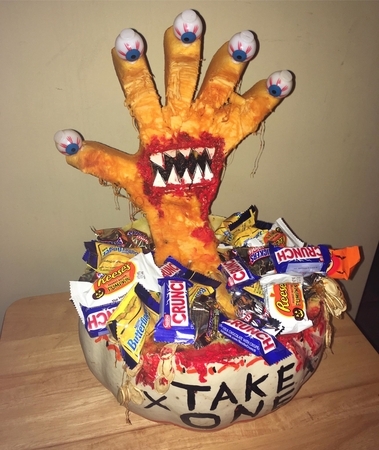 In this twist on those candy bowls with the hand that grabs you when you go to take a piece, both the bowl and the hand are carved out of pumpkins. Now that's thinking outside the box... or should I say thinking inside the bowl?